These are exciting times for African American children'sliterature. Never before have there been so many titles available.Now the three mothers who founded Black Books Galore! --thenation's leading organizer of festivals of African Americanchildren's books --share their expert advice on how to find andchoose the best. This fully annotated guide opens the door to awonderful world of reading for the children in your life. Here arethe most positive, the best-written, and the most acclaimed booksin every category, including board books, story and picture books,fiction, nonfiction, poetry, history, biography, fables, andmore. * Listings of award winners and Reading Rainbow Books. 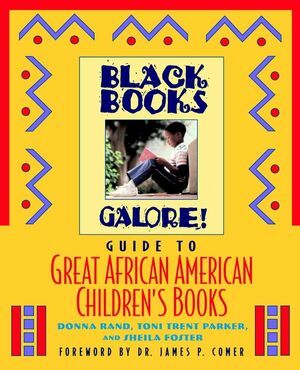 BLACK BOOKS GALORE!, winner of Parenting magazine's ParentingLeaders Award, was founded by DONNA RAND, TONI TRENT PARKER, andSHEILA FOSTER, who as a result of their challenges in findingquality books for their own children dedicated themselves toidentifying and distributing fine African American children'sliterature. JAMES P. COMER, M.D., is the Maurice Falk Professor of ChildPsychiatry, Yale Child Study Center, and Associate Dean, YaleSchool of Medicine. Read Aloud Books (Babies to Preschoolers).